I made this cake for the first time in March to celebrate birthday of my friend. But my dSLR died on me that day for the first time in 4 years and had to give it for servicing. Afterwards, I tried making it several times but the right occasion didn’t come. Finally made it again for my own birthday this year. You can use a mix of sweet and dark chocolate if you like. You can use any cookie like Oreo or any other biscuit of your choice. I love making make ahead desserts these days as they are far more simpler to plan and make in advance. Too many variables in my life make it difficult to make everything at the last minute. 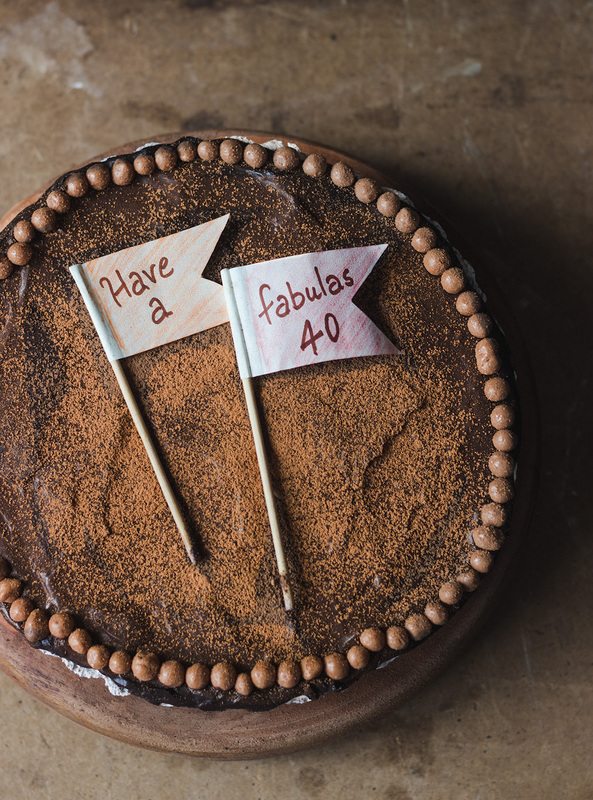 I turned 40 this year and it Mousse Cake was a perfect way to celebrate it.